Twitter has made a subtle, but not insignificant change to the way it counts emoji in its 280-character limit. Moving forward, all of its natively supported emoji will count as two characters. Previously, adding skin tone and gender modifiers to an emoji unintentionally penalized users and many likely didn’t even realize it. In a new blog, Twitter explained that the way emojis are encoded results in a variety of character counts that can be confusing and limiting for users. Individual emojis like a flag might take up four characters while a simple waving man requires only two characters. Adding modifiers for features like skin tone or a style of flag increased the character count. Fundamentally, this was a technical issue but it also inadvertently negated efforts to bring equality to the emoji space. “This update marks significant progress for our service,” Twitter said in its announcement. As the Verge points out, Unicode uses a method called “zero width joiners” to combine some of its emojis. This tells platforms that the emojis shouldn’t be separated by a space and instead should be combined into a new form. For example, the generic family emoji (👪) is interpreted by services like Twitter and Google Docs as two characters—it’s a standalone emoji. But if you want to add another son to the mix, the platform has to combine the man and woman emojis with two boys (👨+👩+👦+👦). Each emoji is interpreted by Google as two characters and each space between them as one character. When zero width joiners are used, you get an output that looks like this: 👨‍👩‍👦‍👦, but it’s still interpreted as 11 characters. Windows 10 supports 52,000 combinations of the family emoji. These different combinations result in different character counts. 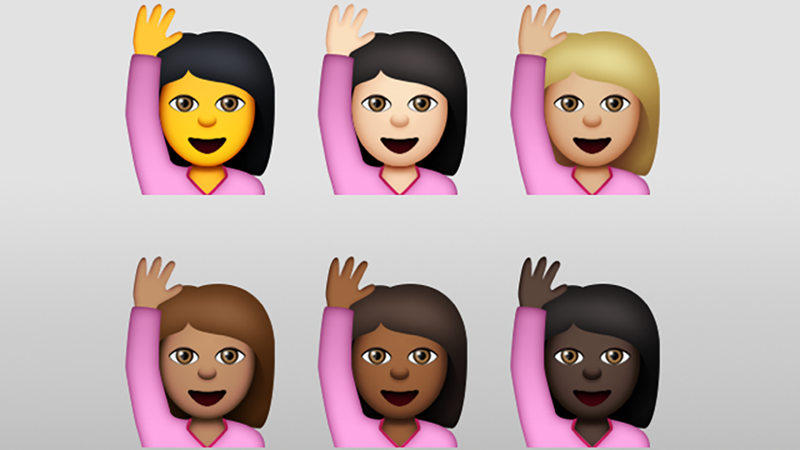 The family emoji with a medium-dark skin tone (👩🏾‍👩🏾‍👦🏾‍👦🏾) is interpreted as 19 characters, and the same goes for other skin tones. All in all, this change means more 👏 emojis 👏 for 👏 everyone 👏.